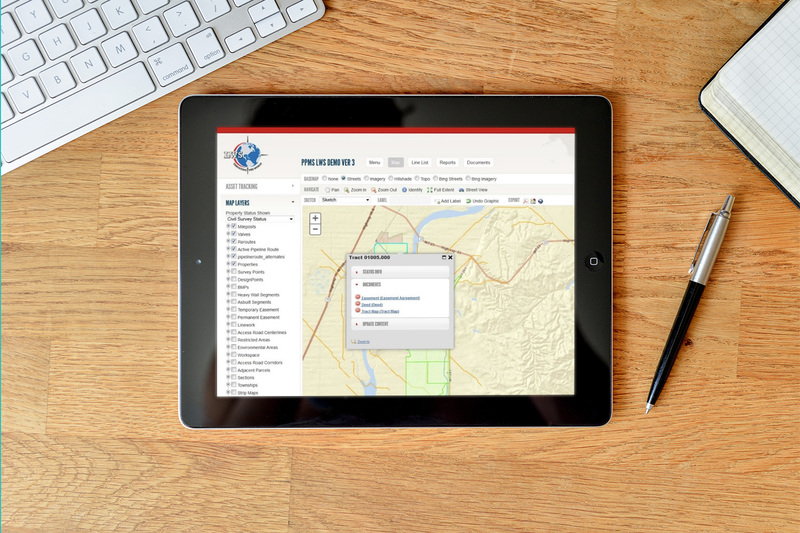 Within the energy sector, we have developed numerous web GIS systems that aid in pipeline management, environmental accountability, renewable energy prospecting, storm water management, resource management, and data sharing. Our solutions integrate numerous vector and raster geospatial data sets with web interfaces, suitability and cost models, disparate databases, and document systems. One notable project is the Pipeline Project Management System (PPMS) online pipeline construction management application. This solution, developed for a pipeline survey and construction company with operations throughout North America and Russia, has a geodatabase schema designed for over 50 standardized spatial layers. The system is hosts multiple pipeline projects. Each project has independent datasets and named users who can upload, edit, and download data. PPMS includes multiple scenario analysis models that can be run from the web map interface for evaluating “what if” scenarios and cost estimates on pipeline re-routes. By first creating cost surfaces combined from several datasets (for example, slope, water features, land ownership, lithology, road and rail crossings), the routing models return best-fit scenarios for routing and estimated costs per linear unit. Geoprocessing models are published on the server side, and can be executed from the web interface via REST services requests, allowing users to input different parameters and run pipeline route scenarios directly from the web map without needing any desktop software. This is a good demonstration of our experience developing geoprocessing tools and integrating spatial analysis in web interfaces.